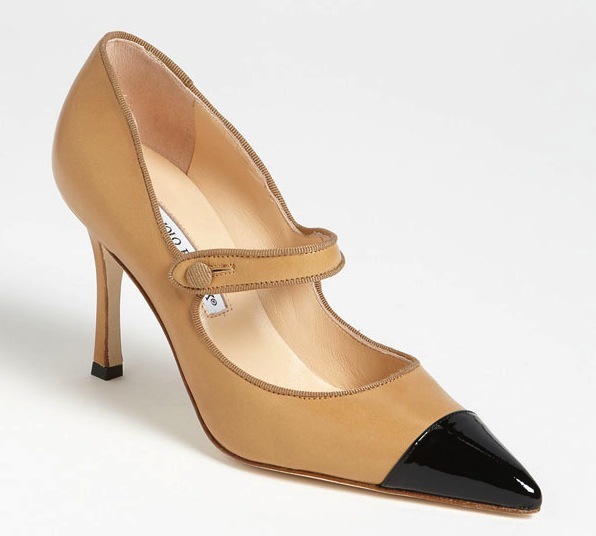 Now that chunky heels are following in the steps of skinny jeans, woman are even more anxious to get to Manolo Blahnik boutique's next markdown. Wait no more. The newest markdown will start Monday, January 21 with a discount of 50% off. This most recent markdown follows the 33% discount but proceeds the final and best shopping opportunity of the season. The final markdown is always one of our favorite sales and normally occurs the first week of February. Prices range from $195 to $350. Most shoes and low boots-- even highly ornate styles-- are priced at $250. We took a quick browse through the boutique last week and were a bit worried because the assortment does not seem to be as extensive as usual. We did spot a variety of classic Manolo Marry Janes in two-tone combinations and Timberland style boots with fur trim. In the meantime, Bergdorf Goodman still has a great assortment of Manolos that are currently 55% off and Barneys markdown is at 60% off. I'm personally waiting for February! After all, it is the month of love.